Để đảm bảo rằng chúng tôi tiếp cận được càng nhiều tài xế Uber càng tốt, rất nhiều Đối tác Tài xế Grab đã “xuống đường” để tìm gặp các tài xế Uber, truyền tải thông tin và mời họ đến các trung tâm hỗ trợ của Grab trước khi ứng dụng Uber ngừng hoạt động vào ngày 08/04/2018. Chúng tôi đã hướng dẫn các tài xế Uber cách sử dụng ứng dụng Grab; chia sẻ về các chương trình và tiện ích mà Grab đang mang đến; đồng thời giúp giải toả những băn khoăn lo lắng, nhất là về sinh kế của các tài xế Uber. Xin chia sẻ với các bạn những khoảnh khắc ấm áp khi cộng đồng tài xế gắn kết cùng nhau #oneGrab. First and foremost, let’s together welcome our new Uber driver-partners who have joined us on Grab platform over the past 2 weeks! For new users who have downloaded the Grab app and started riding with us, a big warm welcome too! 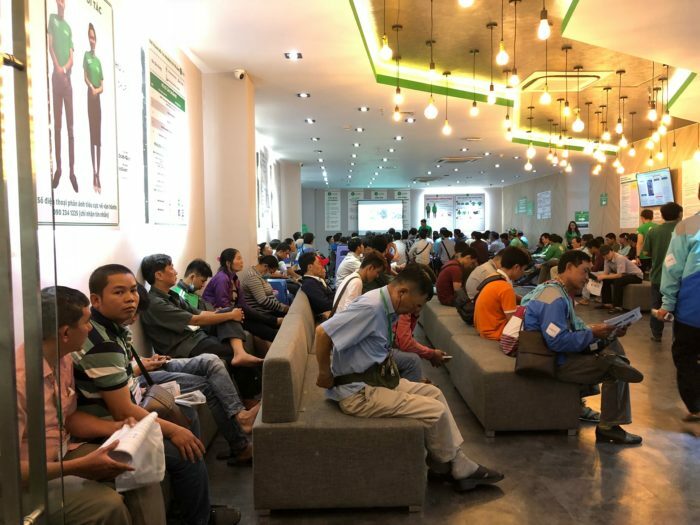 To ensure that we reach out to as many Uber drivers as we can, many of our driver-partners pounded the streets to look out for Uber drivers and spread the message for them to visit Grab Driver Centres before the Uber app stops operating on 8 April. We introduced Uber drivers to the Grab app, shared about the benefits that they can enjoy with Grab, and quelled any uncertainty and panic of disruption to their livelihoods that Uber drivers were feeling. These are priceless, heartwarming moments where our driver community bonds together as #oneGrab! Thanks to everyone’s efforts, many Uber driver-partners turned up at our Grab Driver Centres over the past 2 weeks. We know that there are some concerns about the more stringent training that they will need to go through. Safety has always been the utmost priority of Grab and it’s a value that we cannot compromise. Our colleagues at Grab Driver Centres have been working around the clock to train our new driver-partners on how to use the app as well as customer service etiquette. The past 2 weeks have been fulfilling for everyone at the Grab Driver Centres, as every driver we onboard on our platform means an opportunity enabled to earn an income, which means a lot to everyone at Grab! 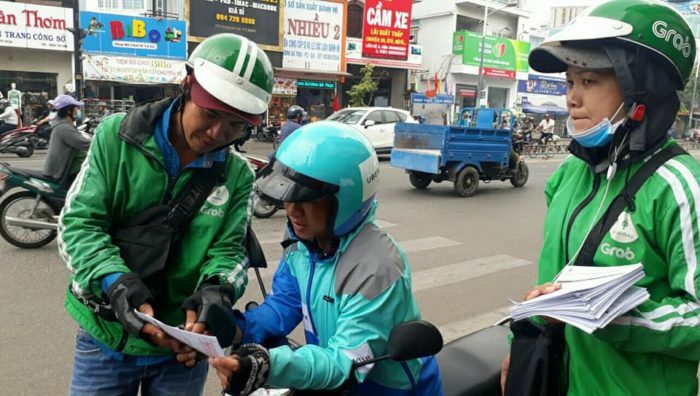 We witnessed joyous moments when Uber drivers passed the test and were ready to go on the roads to serve the daily transportation needs of Vietnamese commuters. Our driver welfare initiatives go beyond just higher income opportunities and incentives. All new and current driver-partners are automatically enrolled into Grab’s Better 365 initiative, where we commit to improve lives of our driver-partners and their families every day, 365 days every year. Better 365 offers greater financial support, skills training and community activities for our driver-partners and their loved ones. Transition and change is never easy, but we are definitely putting in our best effort to make it as smooth as possible for our driver-partners and customers. To our EXISTING DRIVER-PARTNERS, we thank you for lending a helping hand to fellow Uber drivers who are now part of the same family. When the Uber app stops operations on 8 April, we anticipate an influx of ride bookings through Grab platform. We encourage all of you to be ‘online’. More new drivers on our platform will not result in fewer bookings for you, as we have more app downloads from Uber passengers as well! You can expect to earn higher incomes with more ride bookings, and more efficient and faster matching with passengers that are closer to you through #oneGrab platform. To our VALUED CUSTOMERS, we thank you for all your support towards Grab. We know that you chose us for the safety, convenience and affordability that we bring to you through technology, and we will not let down the trust you have for us. We are working hard to minimise any disruption users might experience after 8 April, but if there’s any that you encounter, please bear with us for a moment. In the longer run, with a larger fleet of drivers on our platform, your transportation needs will be met faster. You will get to enjoy shorter waiting times, more convenient and affordable rides through #oneGrab platform. We have rapidly expanded our GrabRewards customer loyalty programme to create more value for our users for every ride they take with Grab. Every dong you spend with Grab will bring you closer to redeeming a movie ticket at CGV cinemas or a drink at The Coffee House. To UBER DRIVERS WHO HAVE NOT YET REGISTERED WITH GRAB, please visit the nearest Grab Driver Centre as soon as you can, as we want to ensure that you can continue to earn an income through Grab platform after 8 April. Your livelihoods remain our priority. For more information on the locations of Grab Driver Centre as well as documents to bring along for registration, please visit here. 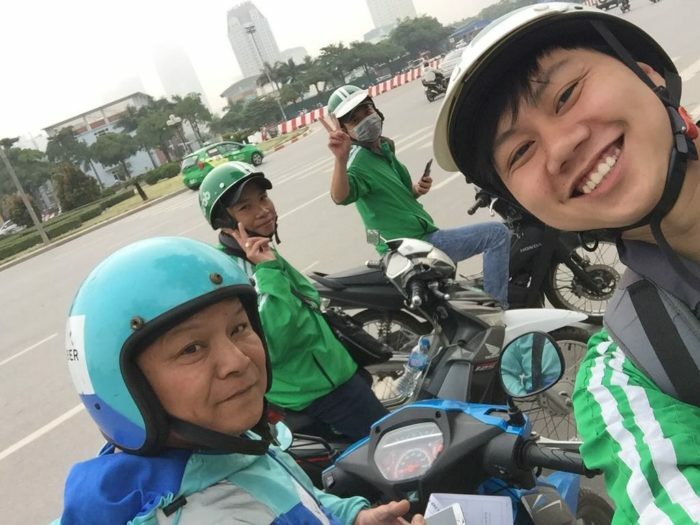 Having started Grab Vietnam office more than four years ago, it has been a very meaningful journey playing our part in solving transportation challenges for the people of Vietnam and making your daily commute safer, more convenient and more affordable. Transport is where we started, but we have evolved to become a full consumer platform across Southeast Asia today. We are not a taxi service provider, but a technology company enabling a wide range of consumer services. 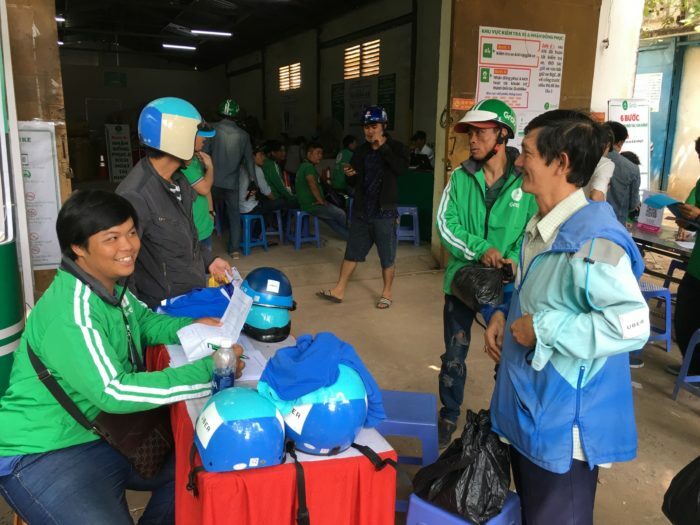 There’s still so much more we can do as a technology company to improve the lives of people in Vietnam, from payments, lending, insurance, food delivery to logistics. We are excited to bring this full range of consumer services to Vietnam in 2018, so stay tuned!